The enhanced government site now fast tracks jobseekers' search for jobs as well as employers' hunt for qualified workers. ENHANCED PHILJOBNET. DOLE and its partners have addressed technical issues and limitations to significantly improve the website. 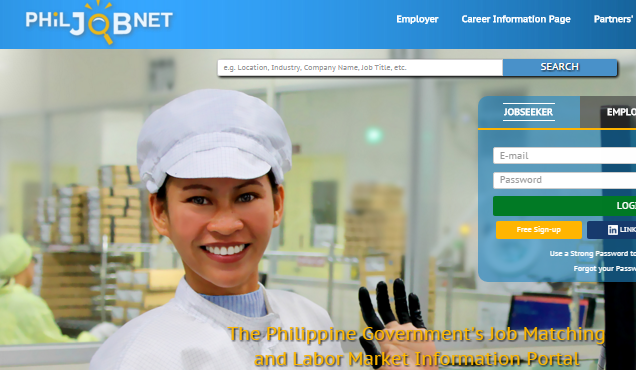 MANILA Philippines – The Department of Labor and Employment (DOLE) relaunched on Thursday, the enhanced PhilJobNet, the government’s official website/portal for job search, job matching, and labor market information. The enhanced site now fast tracks jobseekers’ search for jobs as well as employers’ hunt for qualified workers. “We have addressed the existing technical issues and limitations of the PhilJobNet system,” said Labor Secretary Rosalinda Dimapilis-Baldoz. 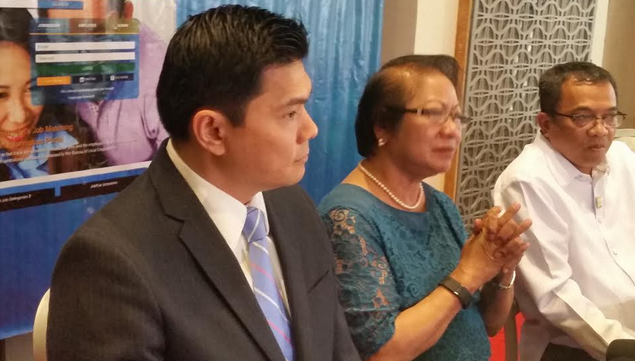 She also said the new site has been developed through the department’s Bureau of Local Employment (BLE) and its major partner from the private sector, Servicio Filipino Inc. (SFI) Group, a workforce development company. The new PhilJobNet is aimed to help about 600,000 to 700,000 new entrants into the labor force this year (figure based on the expected graduates of the public and private education system in the country). It can also be useful to returning Overseas Filipino Workers (OFWs), especially those who have been repatriated after being affected by job cuts in the Middle East, where there is a current crisis due to excessive oil supplies. Here are nine of the most notable new and enhanced features that make the new PhilJobNet a more ideal job search and careers portal in the country today. The enhanced PhilJobNet comes with a mobile phone-friendly web application system that makes the site more responsive to optimal viewing and easier to navigate and read. Of course, the job portal could be accessed 24/7. “PhilJobNet can be accessed on iOS,” said Dominique Rubia-Tutay, director at BLE. She said they are still continuously working to make the app available in other operating systems so that users can access the service faster and have greater experience while using the app. This is good news to those who usually use their social media accounts to get online information. Jobseekers can log in to their Facebook or LinkedIn accounts to access PhilJobNet. The enhanced site comes with separate log-in functions for the web administrators, employers, and jobseekers. This will make it less confusing for users. The developers also made sure the featured jobs would be categorized to make them specific to users. Thus, women, high school graduates, differently abled workers, and displaced skilled labor force can easily find the right job opportunities for them. There are also career information pages and an integrated Talent Map tool within the site. Baldoz said the newly relaunched site aligns its job vacancy descriptions with the Philippine Qualification Framework (PQF) descriptors. The PQF is a national policy that describes the levels of educational qualifications and sets the standards for qualifications outcomes. Through PhilJobNet’s advanced search functionalities, users can easily filter job vacancies by location, industry, company name, salary, and/or type of employment. It is also possible to search for available special jobs—online or home-based, overseas, government, and internship. And users can use a variety of printable résumé formats that are available as templates within the site. There are also options to upload certificates and licenses and to even sign up to receive email alerts on job matches, updates, and other announcements. Job applicants can provide feedback or share experiences and the results of their job interviews through the job pages. This way, other users can get an idea about how they could better prepare for possible job interviews with the same prospective employers. Jobseekers who do not have access to the Internet can opt for the online access by going to any location of DOLE Regional or Field Office or of the Public Employment Service Office (PESO). Through special facilities available in those sites, a jobseeker can encode and update his/her profile and all other employment related information. The individual can also view and search a company’s registration status and even refer other applicants to any job vacancy. All offline information gathered will be regularly forwarded to a database, which is usually migrated to the online system. There is a User’s Guide available to all users of PhilJobNet so anyone can easily navigate through the new platform. There will also be a special and designated hotline, which will be manned by customer service representatives from the SFI Group. PhilJobNet’s enhanced site can be accessed at www.philjobnet.ph. It is also accessible through the Job Search Kiosks located in PESO and DOLE offices nationwide. There are also special PCs allocated for it in specific offices of the Commission on Higher Education and in selected schools/universities.